USA Kickboxing Team VS Cuba! 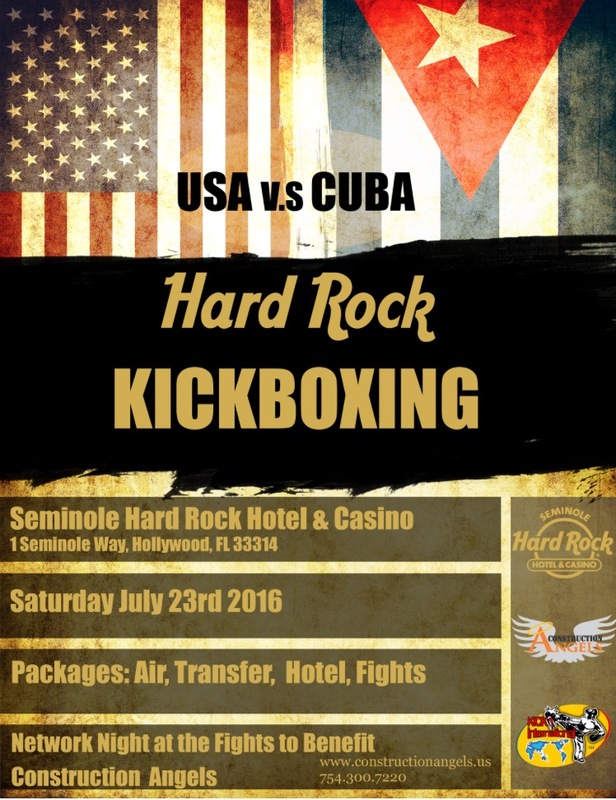 Please join the USA Kickboxing Team VS Cuba! A portion of the ticket sales will be donated to Construction Angels! Mark your calendars! Doors open at 6pm, event begins at 7pm!